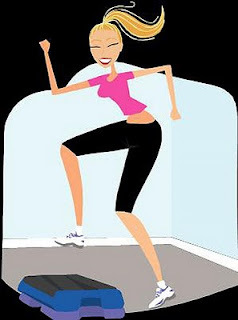 Positive Changes Hypnosis: Do Aerobics in the Morning! Do Aerobics in the Morning! The temptation to eat muffins and drink coffee may be overwhelming (just as looking in the mirror, rubbing your belly, and grunting might be), but doing some form of aerobic exercise for just 20 minutes, first thing in the morning, is more effective in burning fat than a full hour of aerobic exercise performed later in the day after you've eaten a few meals. You see, after an overnight fast, blood-sugar levels are low, as are carbohydrate reserves. Exercising before you eat causes the body to dip right into stored fat to come up with the energy required to make it through whatever rude awakening you've subjected it to.